Friend is looking at buying some potato clocks, crystal growing kits, and other assorted science kits for her kid going into third grade. She's wanting to foster an interest in science in her kid and thinks these are the ticket. 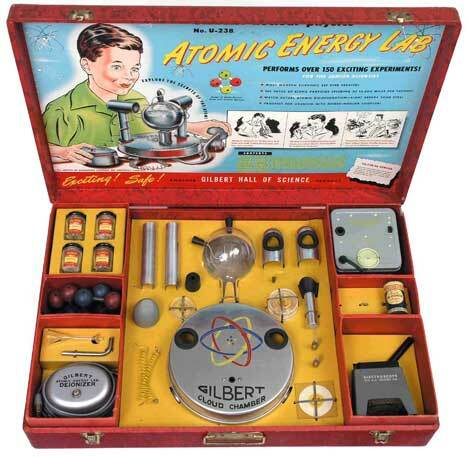 In your opinion, are science kits like these actually educational, or are they really just toys concealed in packaging that makes them look educational? They're probably useful - Are they worth the money? Maybe, maybe not. Might try looking for science stuff on Youtube. We do a lot of science experiments at home and don't usually use kits. However, there were a few kits that were worth it because they provided something that could be used over and over like test tubes. We always look up the principles that are being illustrated and learn about that. Sometimes we have books that explain what to do and how to do it and what principle is illustrated. We look for experiments, get the ingredients and go to town. Suggest to your friend that she take her child to the library - the children's department should have lots of science experiment books that require easily available materials (along with lots of other science books on various topics). My experience has been that science kits are educational (and everything you are describing illustrates scientific principles). Hopefully kids perceive them as toys as well! The two should not be mutually exclusive. Science museums are an alternate way to get kids interested in science. Also, I think it is useful to give them things from around the house to take apart in order to see how they work. Getting kids used to working with their hands and expressing curiosity about how the world around them functions is useful preparation for science, whether or not it comes in kit form or just as a part of everyday life. Most professional scientists I know like to tinker with things. They are just fine for what your friend wants, based on the age of the child. They're good for fostering an interest in science but without basic science knowledge, kids can't think very deeply about them. What you hope for is that the child starts asking why. Physics kits are better than chemistry kits because you need a basic understanding of chemistry to get why most kits work. With physics you can see what is happening and relate it to the world around you. Newton's cradle fascinates my 9th graders. They're even more impressed by a magnetic launcher. Catapults are great for playing with how angles affect trajectory. In the realm of chemistry, I'd recommend insta snow or gel orbs you grow in water because students can think about how the molecules are arranging themselves (if they get stuck, you can pour sand into a jar filled with marbles and show them how the smaller "molecule" (the water) fills the spaces in the larger "molecule" (the marbles). Polymers are more like spaghetti but kids get the visual of filling the spaces with sand and marbles.) If you really want to boggle their minds, buy some ethanol and have them measure out 50 ml of ethanol and 50 ml of water the pour them together to get, significantly, less than the expected 100 ml of solution. It's the same concept. The smaller molecule (the water) fits in the spaces between the larger molecule (the ethanol) so the total volume is less than the two original volumes added. This shows that molecules take up space and have voids between them. Making colored flames is one kids like too. Copper salts produce a green/blue color when heated, sodium salts a yellow flame, calcium salts (driveway heat deicer) an orange-yellow flame. If you can find litium or strontium salts, they produce red colors. You can actually buy birthday candles that have chemicals in the wicks that make them different colors. This is how the colors in fire works are made. Hands-on projects and experiments are never going to hurt. I was raised on Childcraft, the book series put out by World Book, and my favorite, most-used volumes were the science themed ones that had lots of experiments with simple, household materials. Well, that and the arts and crafts ones...but still, hands-on. The kits may or may not be useful, depending on how they are used. However, there are a lot of people in science that are thrilled to do demonstrations and perform experiments for kids, and they will generally have easy access to chemicals, a good handle on safety, and access to suitable facilities. Most colleges and many high schools will have a chemistry club that does demonstrations at public libraries and other places for kids, and many individual teacher and professors are happy to spend some time teaching kids about science. Doing demos, judging competitions, and helping organize chemistry events are all things that really love to do. In my city, and I would guess most cities with a college or two, there are plenty of people willing to give their time to science education. I have a lot of demos that I use for kids of different ages. For very small kids I like to make slime, 'elephant toothpaste', and explode disposable diapers. For middle school kids, I do paper chromatography, an occasionaly thermite demo, and some dye mixing, depending on how hands on I can be. For high school kids, I love the iodine clock reaction, some colligative properties exercises, and some fun with liquid nitrogen. I am also the faculty adviser for a group of chemistry majors that do several presentations a year for the public. For home science, I am a much bigger fan of anything investigative than a demonstration. The most important part of science is the idea that you can test a hypothesis. Answering a question is more satisfying than watching something happen, even if it may seem trivial. For example, setting up a microphone and measuring how many times a faucet drips after you turn it off or using slow motion replay of video to count the revolutions of a ceiling fan or even measuring diffusion/convection by opening a perfume bottle and measuring the time it takes to smell it at different distances (I called it measuring the speed of smell for my nephew) are all very easy and very stimulating to a young kid's mind.